44 years ago today we lost my hero. I had just turned 11 a month before and I will never forget the night he was shot just after midnight after a victorious speech June 5th or the wee hours of the morning he had died on June 6th. My 5th grade teacher had brought a TV into our classroom that Wednesday and we did nothing that day in school but watch the news coverage. It was just a few days before school had let out for the summer. 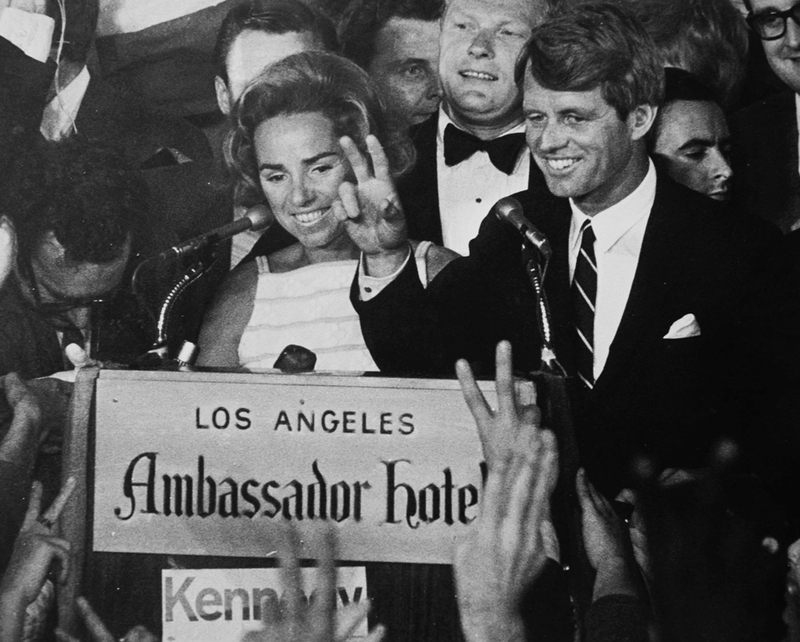 I will never forget sitting in front of the TV for the next three days, watching Frank Mankiewicz cry as he made the announcement that Bobby Kennedy had died. Then watching the entire news coverage as long as it was on, as young as I was I never felt so solemn. I could make no sense of the why. 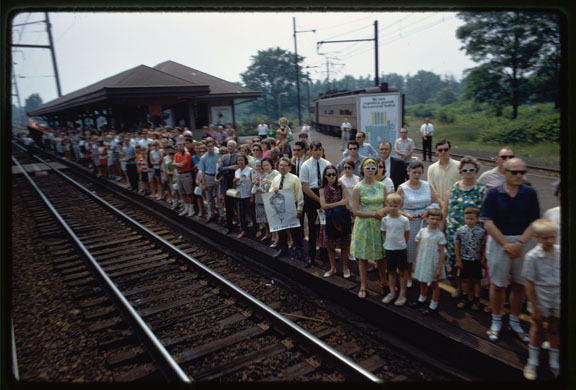 Neither could those who stood along that entire train route to his resting place just to get a glimpse who felt the need to be there to pay homage with signs that said we love you Bobby. I’ll always remember just watching the people pass by his casket at St. Patrick’s Cathedral for hours, then the mass on that Saturday. The eulogy that Ted Kennedy gave with his voice giving away to tears. I watched that TV set and that long slow train ride to Arlington and the burial that took place at night in the dark. And my young mind went to bed that night with the images I had viewed and the still confusement of the why it had to have happened at all. One minute the happiness of a victory speech to the chaos just moments later of being shot with stunned people now crying all wondering the same as I. This moment in history would forever change me and I was determined to find out everything I could about this man. 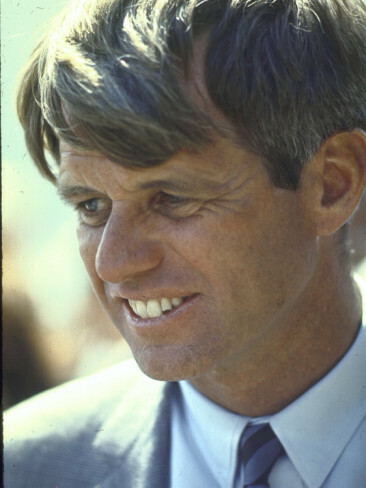 Upon his death and the following days after the funeral I remember asking my Dad to take me to the book store that very close to where we lived and taking my allowance money to buy three different magazines on RFK when they had come out. I learned the same fact written and spoken over and over again. 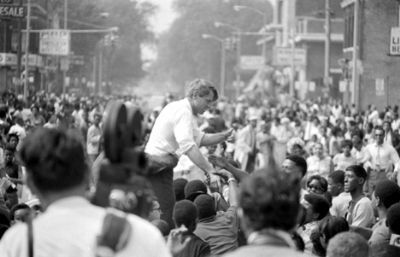 The very first thing on Bobby Kennedy’s agenda if the nomination was won and if elected (and there was no doubt in anybody’s mind that he would have won it all) he was pulling our troops out of Nam. 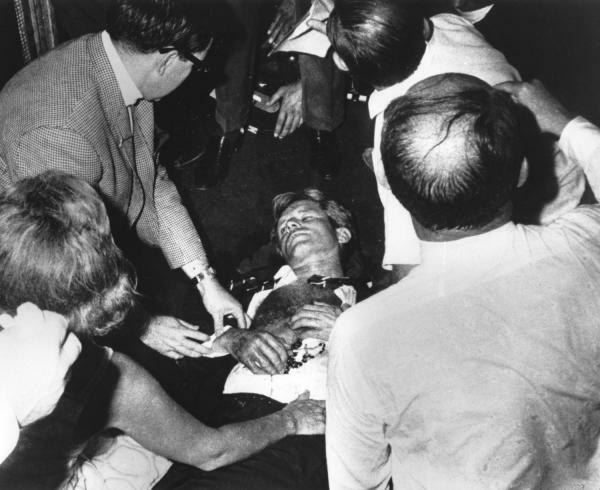 In fact I remember reading that the troops hearts sank upon the assassination of RFK because in reality they knew he was their only and last hope to get out of that hell. As history played out their worst fear had come true. They were left there an additional 6 years and another 20,000 of them would die. Thane Eugene Cesar, Sirhan Sirhan and company didn’t just murder Bobby Kennedy, when they killed him they killed thousands upon thousands of our troops for years after. A fact that nobody ever seems to bring up. RFK said he was quoting George Bernard Shaw but he was thought to have actually paraphrases a line delivered by the Serpent in Shaw’s play Back To Methuselah “You see things; and you say, Why?’ But I dream things that never were; and I say, ‘Why not?’. 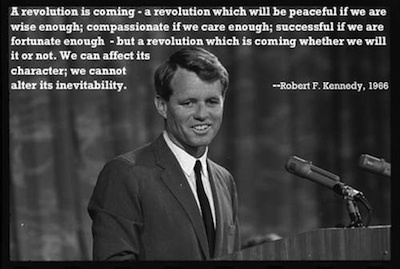 In reality Ted Kennedy paraphrased it even further when he ended his brothers eulogy even more heartfelt. To me the meaning is still crystal clear. As I thought when he was murdered. Things happen and we say why? But he dreamt of things that might could be and ask why not. On June 6th 1968 his dream ended and with him there were millions more yet we forged on and fought on. In the jungles of a place we should have never been that JFK was going to get us out of after Dallas but never got the chance. And in the streets of America bitterly torn apart when 5 years later his younger brother never got the chance either. “Abraham, Martin and John” & Bobby. Written and performed by Dion DiMucci.